Thank you for your interest in supporting the important mission of Meals On Wheels of Tampa. Your support shows you share our vision of having no senior in our area go hungry or be isolated. When you remember Meals On Wheels of Tampa in your estate plan, you leave a lasting legacy of your values, and you allow our work to continue far into the future. 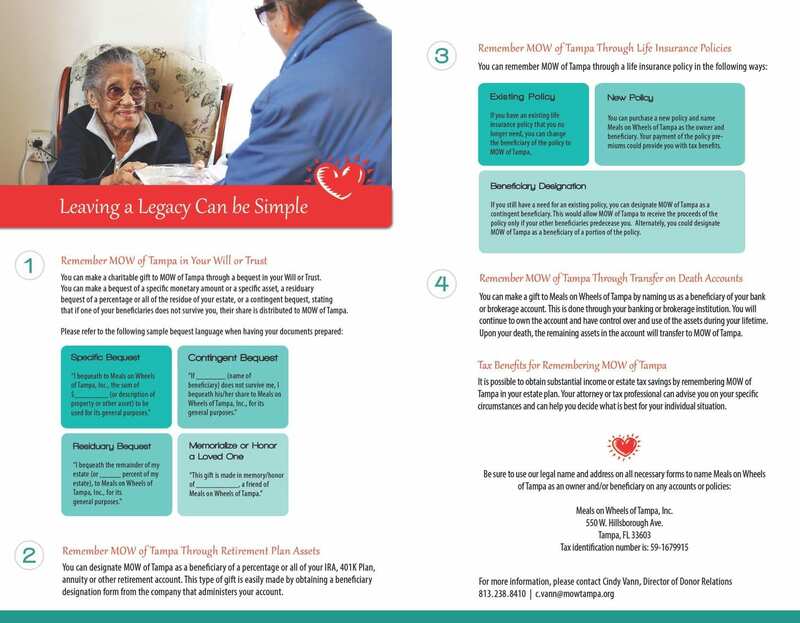 Planned giving can provide an advantageous way to support Meals On Wheels of Tampa through your estate plan or will. Your thoughtful foresight, generosity and commitment can help ensure support for our communities seniors while providing you with additional financial benefits that might include federal income tax and estate tax deductions. Planned gifts can be donated to Meals On Wheels of Tampa in several ways and are best planned with the counsel of a financial or legal adviser. Contact Cindy C.Vann@mowtampa.org or 813-238-8410 for more information on planned giving. 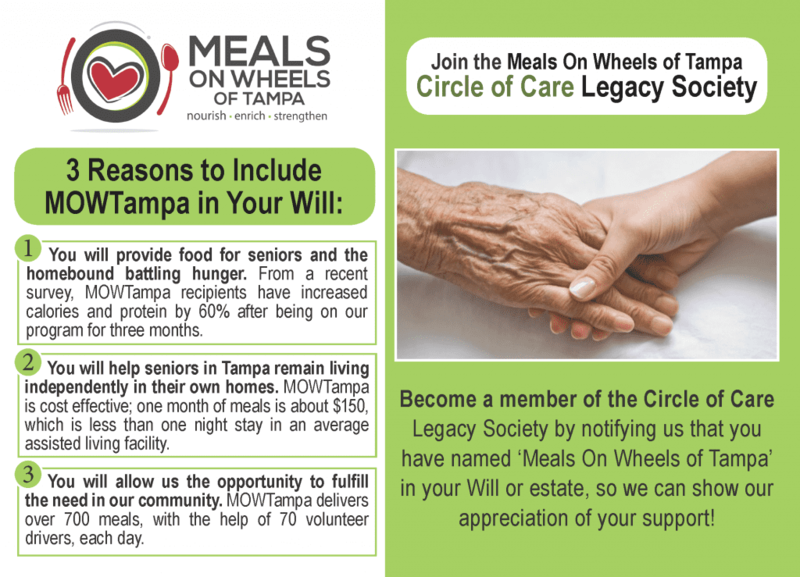 If you plan to include Meals On Wheels of Tampa in your estate plans or will, be sure to let us know! We want to be able to thank you and acknowledge your generosity.